Search McKenzie Towne homes for sale in Southeast Calgary. Calgary is home to nine different lakeside communities, and McKenzie Towne, located in the SE zone of the city is privileged enough to be one of them. The community was developed in the 1990s to be a small, self-sufficient town within the larger city of Calgary and since then it has experienced phenomenal growth. The majority of McKenzie Towne homes are single family homes, but the community also includes many condos and townhomes. McKenzie Towne housing market statistics: As of April 20, 2019 there are currently 111 properties for sale in McKenzie Towne listed as active, with an average asking price of $363,082. The highest-priced property is $949,900; the lowest priced property can be purchased for $156,000. 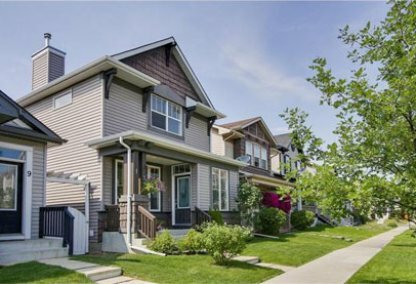 McKenzie Towne neighbourhood listings have an average price of $279 per square foot, based on listings with 2.8 bedrooms, 2.7 baths, and 1,328 square feet of living space. Purchasing a home in McKenzie Towne? Call 403.217.0003 to reach your local McKenzie Towne real estate team, Justin Havre at RE/MAX First. Our local experts will offer guidance to help you through the McKenzie Towne real estate market. With lovely homes, beautiful outdoor parks and ponds, fantastic recreational facilities and its own shopping, restaurants and schools, it’s easy to see why so many people are interested in real estate in McKenzie Towne. Condos in McKenzie Towne are as affordable as the low 200,000's, while single family homes range in price from the mid $300,000's to over one million dollars. McKenzie Towne has been thoughtfully developed with yesteryear in mind. The neighbourhood features classic architecture such as brownstone building fronts, Victorian style single family homes, Craftsman style townhomes and European estate condos in McKenzie Towne. A quaint, old-time town square has also been integrated in the community as a gathering place. With local schools, churches, shopping, green spaces and retail centrally located, residents can easily walk from their homes to wherever they need to go. Fountains, fire pits, gazebos, picnic shelters, skate board park, hockey rink and water park are all features found in one of the numerous parks in McKenzie Towne, located less than half an hour away from downtown Calgary. It is also serviced on weekdays by a shuttle bus to downtown as well as public bus service to the C-train. Though it is convenient to leave the neighbourhood, those fortunate enough to own McKenzie Towne homes rarely feel the need to. The McKenzie Towne Community Association offers a variety of programs and events for member. The Town Hall offers a gymnasium and a banquet hall, which hosts a variety of community events organised by the local neighbourhood association. Planning to buy or sell a home in McKenzie Towne? Let our real estate team guide you in your hunt for the perfect home and professionally mediate the selling of your current home. As McKenzie Towne neighborhood real estate agents, we know the ins and outs of the McKenzie Towne real estate market. We'll point you in the right direction today! 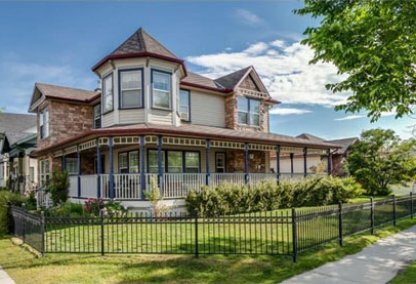 Contact Justin Havre at RE/MAX First to find out more about buyer or seller representation. Thinking of selling your McKenzie Towne home? Check out our free home evaluation, where you can instantly price your Calgary home online in minutes!